American Cinema Editors (ACE) will present veteran editors Janet Ashikaga, ACE and Thelma Schoonmaker, ACE with the organization’s prestigious Career Achievement honors at the 67thAnnual ACE Eddie Awards on Friday, January 27, 2017 in the International Ballroom of the Beverly Hilton Hotel. 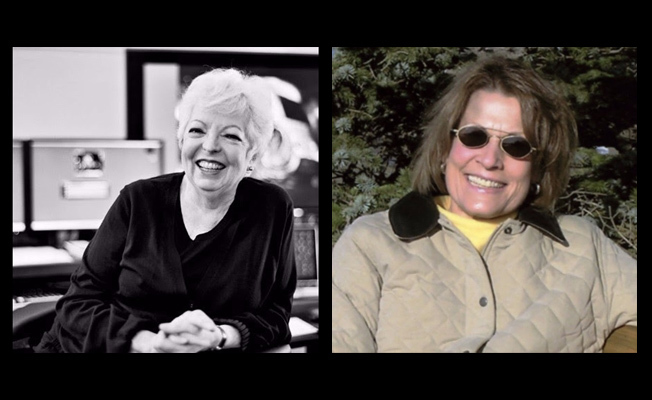 The Career Achievement Award honors veteran editors whose body of work and reputation within the industry is outstanding. As previously announced, J.J. Abrams will receive the ACE Golden Eddie Filmmaker of the Year Award and winners for best editing will be announced in ten categories of film, television and documentaries. A full list of nominees can be found at http://www.americancinemaeditors.org. Ten-time Emmy® Award nominee and Four-time Emmy® Award winner editor Janet Ashikaga has worked on some of the most renowned TV series in recent memory including Seinfeld, Sports Night, My Name is Earl and The West Wing. She is a seven-time ACE Eddie Award nominee and one of the most respected editors working today, not only because of her prolific achievements in film editing but because of her dedication to mentorship and education on behalf of the editing community and American Cinema Editors. Thelma Schoonmaker is a seven-time Academy Award® nominee and a three-time Academy Award® winner for Raging Bull, The Aviator and The Departed. She has been nominated for the ACE Eddie Award eight times and has won four times. For almost five decades she has been working with Martin Scorsese, marking one of the most significant editor/director partnerships in cinema’s history. She first worked with him in 1967 editing Who’s That Knocking on My Door and went on to edit Street Scenes in 1970 and The Last Waltz in 1978. It was in 1980 when her work on Scorsese’s Raging Bull earned this prolific editor her first Oscar®. Most recently she edited Scorsese’s 28 years-in-the-making passion project Silence. In between, her tremendous filmography boasts titles like The Color of Money, The Last Temptation of Christ, Goodfellas, The Age of Innocence, Casino, Gangs of New York, The Aviator, The Departed, Shutter Island, Hugo and The Wolf of Wall Street, to name but a few. She was recently honored by the New York Film Critics Circle for her distinguished career in film editing. ACE produces several annual events including EditFest (an international editing festival), Invisible Art/Visible Artists (annual panel of Oscar® nominated editors), and the ACE Eddie Awards, now in its 67th year, recognizing outstanding editing in ten categories of film, television and documentaries. The organization publishes a quarterly magazine, CinemaEditor, highlighting the art, craft and business of editing and editors.